The Zuckmayer’s farm was near Silver Lake in Barnard Vermont–it looks about the same today as it did in 1940. Alice Herdan-Zuckmayer: The Farm in the Green Mountains, 1949: part memoir, part diary, part fascinating account of rural life in 1940s Vermont, the state I grew up in. I’ve been slowly reading it since Christmas, mostly on the train between Mainz and Frankfurt. And, check it out–it’s even available in English! The authoress Alice Herdan-Zuckmayer was an actress in Berlin in the 1920s, where she met her husband. Carl Zuckmayer was a prominent author and playwright from Mainz, where he is still quite a point of pride–I’ve seen his plays at the Mainzer Staatstheater, and gone to an exhibit about his life at the local library. They fled Germany with their two daughters in 1939 and, after a short stint in New York City, acquired a run-down farm in Barnard, Vermont. They were upper-class Europeans and artists, utterly without prior experience in farming or rural life, but they somehow made it all work. In many ways, minus of course the exile and the upper-class-European-artist part, it’s the story of my parents, who also moved to Vermont decades ago to raise a family and start farming from the ground up, through trial and error and sheer force of will. I spent the first 18 years of my life on our sheep farm and Bed and Breakfast outside of Chelsea, another tiny village not all that far from Barnard. It’s a small world. 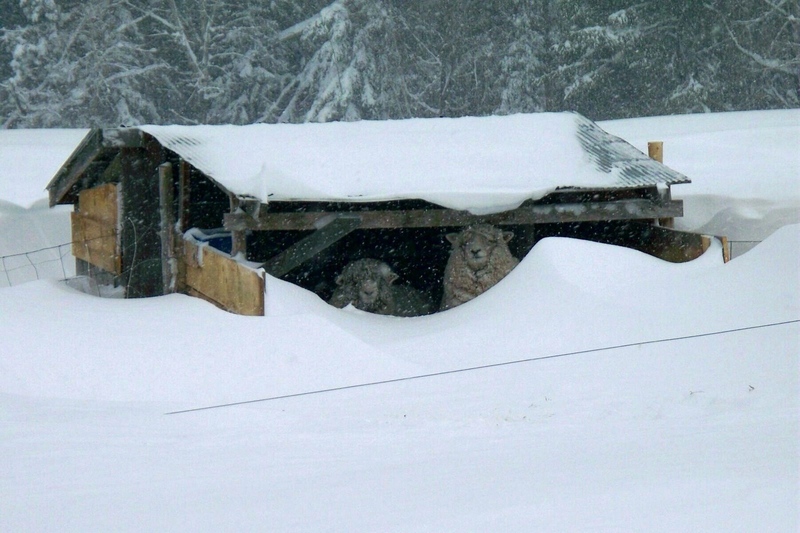 The rams’ shed on our farm after a snowstorm–cosy and picturesque, sure, but not fun if you’re the one who needs to bring them water twice a day. I can understand so much of what Alice Herdan-Zuckmayer writes in the book–these are things that haven’t changed at all in the last century in Vermont, things I know every time I go back to visit. The sounds an old post-and-beam farmhouse makes when it gets cold, for instance, or the way the snowplow rattles the windowpanes at 4am, the way that all travel slows to a crawl during Mud Season, the vow that you make to yourself every year on slaughtering day to never eat meat again, the way you structure a day around caring for animals, what it means to make a living with your hands on a small piece of land that you own. We seem to have traversed much of the same ground, too–she spends an entire chapter describing her monthly pilgrimages to the libraries, theater, and art galleries of Dartmouth College in Hannover, New Hampshire, that ivy-league sanctuary in the middle of the sprawling Connecticut River farmlands. I spent my teenage years driving an hour and a half over bad roads to sit in those same libraries, to look at the art and to attend live broadcasts from the Metropolitan Opera in New York City. To me, as to Alice, Dartmouth College was an oasis, a mecca, super-saturated with the sort of refined intellectual and artistic beauty that struggles to find a place in any rural landscape. Above all, though, it’s the people I recognize most from her descriptions. The Vermonters–they haven’t changed a bit in the past century, and probably never will. It’s all the same: the liberal politics and tough-as-nails self-sufficiency, the immediate and lasting suspicion of anyone not born in the state, the willingness to impart copious free advice at all hours of the day and night, the fierce devotion to place, tradition, community. She writes, “Vermont is a relatively poor state in comparison with the rest of America, but they do not shy away from their poverty, and they do not love wealth. Their autonomy and sense of balance grants them independence even in the most uncertain times, and gives them their sense of pride and fearlessness.” Indeed. 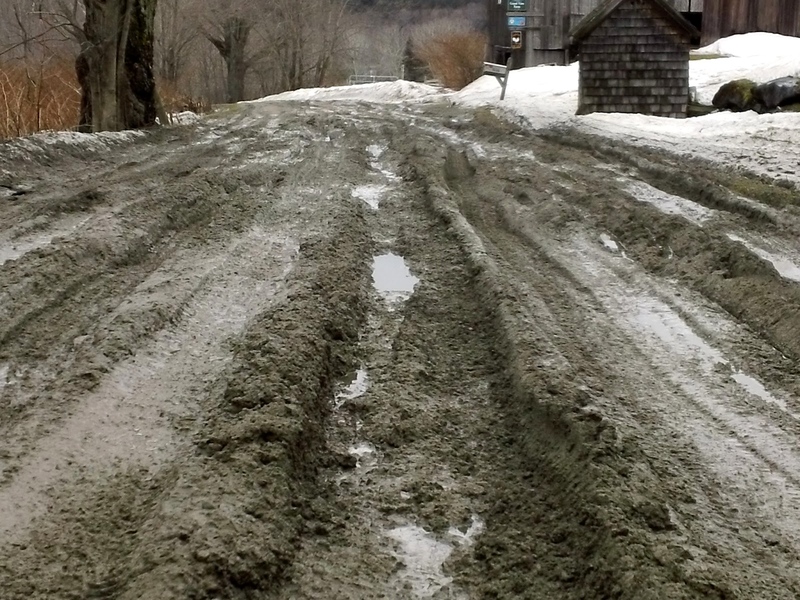 Mud Season, Vermont’s fifth season, at its best–the road that runs along side our farm last April. On the other hand, though, there are many things I do not know at all in the world Alice Herdan-Zuckmayer describes. What it feels like to leave one’s family behind forever, or to live in a land of peace and plenty while one’s homeland is being torn apart by the bombs of the very country in which you have found shelter–I can’t say that I can relate to all that. And yet it was the experience of so many thousands of European intellectuals and artists from Alice’s generation, men and women who left Europe to start new lives in Los Angeles or New York, or on a farm in the backwoods of Barnard, Vermont. With all that in mind, what has lingered with me the most after reading is the strength of Alice Herdan-Zuckmayer herself. Reading between the lines, it’s clear that she was the driving force in the family, and a vital support system for her husband who would rather have been back in Europe writing books and directing plays. It was because of her great will that her family was able to pull together in a new land, and because of her energy, curiosity, and good humor that they were able to thrive. That’s true heroism, there. This entry was tagged Alice Herdan-Zuckmayer, America, Barnard, Dartmouth College, Deutschland, farm, foliage, Germany, home, literature, Mainz, mud season, nature, personal, reading list, snow, vermont, winter. Bookmark the permalink. Ooh. I’ll have to look this book up. =) We could write our own version, you and I. Girl, we so totally should. Hello, Emily! I love reading your posts, and this one intrigues me! I must look for this book! I hope you are feeling well and that this year is MORE that you expected it to be. Know that you are in my thoughts and prayers. Love your blog. This book sounds interesting. That mud season photo was actually taken two weeks after things started to dry up a bit. 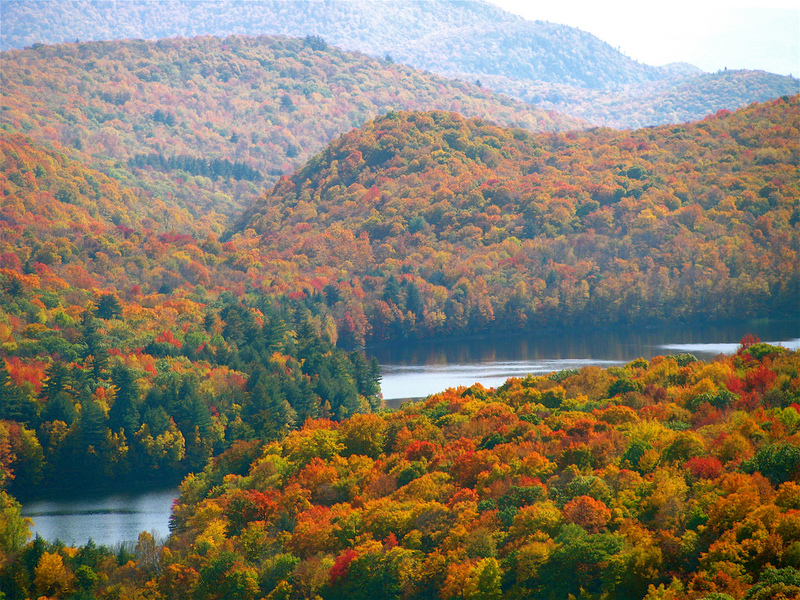 Love the blog, Alice…..and the fact that you can relate to her life in Vermont! I love your writings Emily! This was wonderful…Alice makes me think of your Mom!